The OPMA Skuy Awards were launched in celebration and recognition of excellence and innovation in pharmaceutical and healthcare marketing. In its second year, the OPMA Skuy Awards continues to do just that and we’re happy to announce that we’ve been able to bring home a win for the Best Patient Support/Educational Disease Materials category. 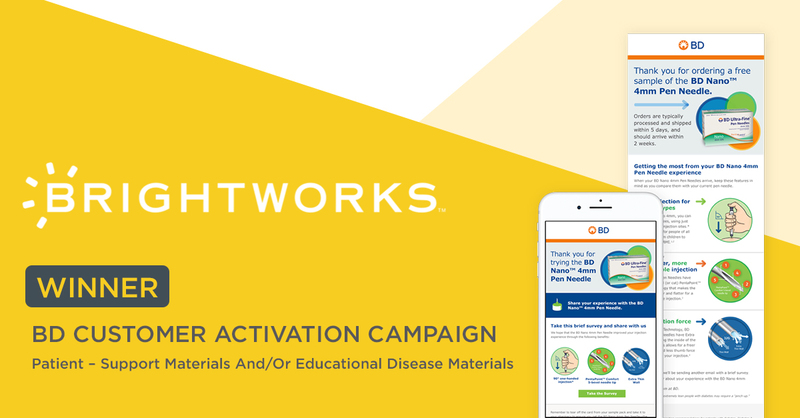 This category looks at a marketing piece or campaign of support materials and/or educational disease materials for the patient audience. For our winning “Real people. Real stories.” campaign, we collaborated with The Mark Studios to build a patient activation campaign emphasizing the role a pen needle plays in the injection experience, while highlighting the benefits of the BD Nano™ 4mm Pen Needle, in a way patients could understand and relate to. Learn more by checking out the case study here. Shout out to the team for all their hard work!